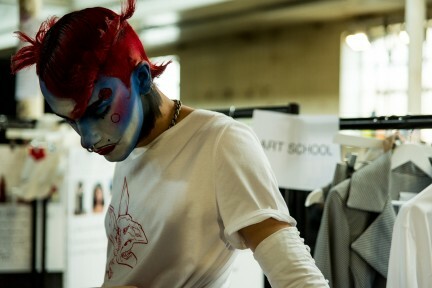 “Queer couture” was the theme for Art School’s MAN debut. Envisioning the runway as a utopia – a “space of theatre, friendship, rebellion, expression and fantasy” – they celebrated the love inherent in collaboration, creativity and universal acceptance. It follows on from what we’ve seen from designer duo Eden Loweth and partner Tom Barratt so far. 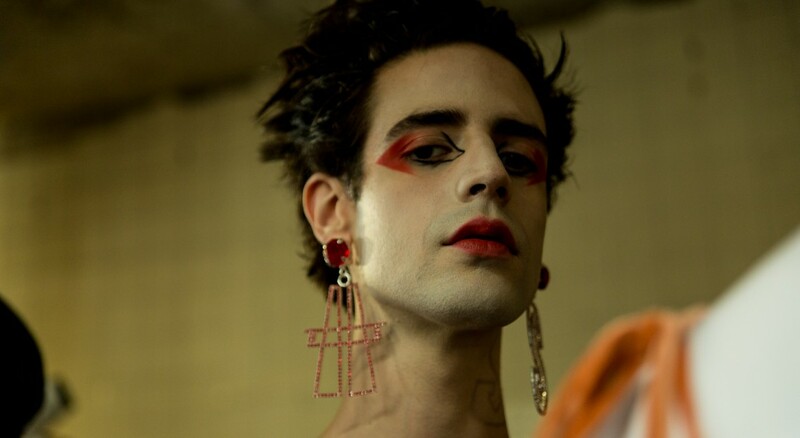 Last season as part of Fashion East, the duo explored non-binary identities with a performative presentation that nodded to Ballet Russes and Bauhaus, and the legendary British filmmaker Derek Jarman’s work Chroma. Indeed, the non-binary identities of these two designers are inseparable from the DNA of their brand. 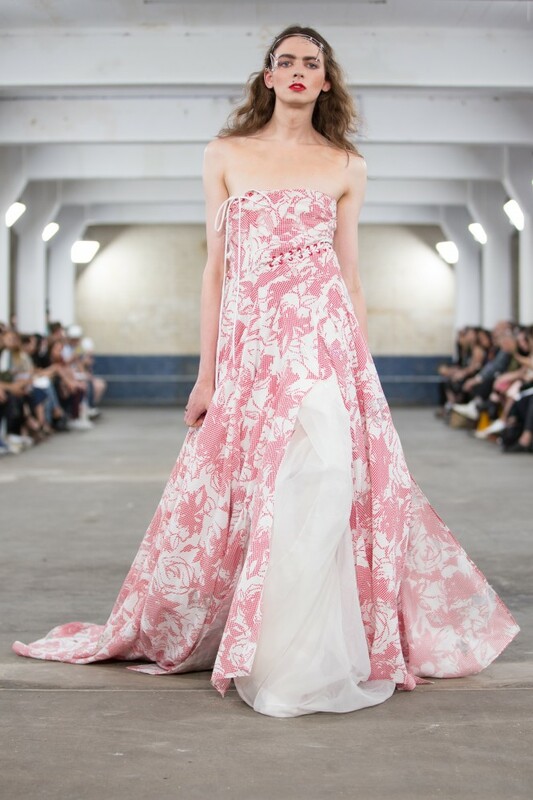 This season that manifested as a series of eclectic, colourful dresses and tailoring. Central Saint Martins students Pierre Louis-Auvray led his elfin-alien drawings to several looks, shoes inspired by Isabella Blow were realised by Robker Atelier (think pastel cowboy boots and strappy 90s sandals), and a partnership with Swarovski saw pieces taken up a notch via bespoke ornamentation. Though each look had its own vibe, it was the individual attitude of each model that really brought the energy. “Rooted in a cast who are emblems of trans defiance,” they celebrated queerness and individuality in the purest way possible – how we get dressed.